Nathan grew up in Great Falls, MT and has spent most of his life taking advantage of the amazing outdoor activities that Montana has to offer — camping, boating, fly fishing, skiing and everything in between. To advance his education, Nathan moved to the midwest where he got a degree in Biochemistry from Loras College in Dubuque, IA and then ended up in Chicago for 7 years to complete an MBA in both Finance & Health Care Administration. While in Chicago he met his wife Heidi who ironically was also from Montana — Billings, MT. While in Chicago Nathan had the opportunity to work for a Fortune 500 company, teach a masters level business course, help an international Electronic Medical Records company expand it’s sales/operations to the US, started investing in multi-family real estate in 2009, became an energy efficiency specialist and helped grow a utility cost reduction company’s sales/operations footprint from 1 state to now servicing all 50 states + Canada. 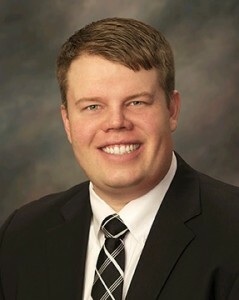 When he isn’t spending time with his wife and 2 kids, Nathan tries to stay involved in his local community through volunteering to help business owners through the SCORE small business mentorship program, staying active at his church and attending networking events to see how he can be a resource to other small business owners. Nathan joined Coldwell Banker Commercial in 2015 after realizing that his true passion is real estate. Because Nathan does what he loves, he feels like he will never have to “work” another day in his life.